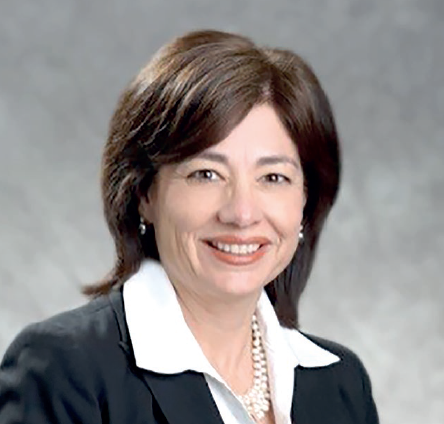 For 31 years, Head of Community and Business Development of JPMorgan Chase Bank, Alice Rodriguez, has seen first-hand the transformation. Holding several roles gave Alice the skills and perspective to lead and coach her own team. You have been recognized as one of the 50 Most Powerful women in business – what does this mean for you personally and career wise? type of recognition. I want to ensure I do my job and give back. How did you arrive at your current position at JPMorgan Chase and which aspect of the finance industry do you find most fascinating? I have been with the bank for 31 years and was fortunate to get the opportunity to be named Head of Community and Business Development less than a year ago. I have held several executive roles in several lines of business including Business Banking, Chase Wealth Management and Consumer Banking and this was an opportunity to use my client and field experience in a role that allows me to develop the strategy for our everyday consumers. I had worked with my current boss when we were both in other roles several years ago and when she became CEO of the Consumer Bank, we had the opportunity to reconnect. I am grateful for the opportunity to make a difference and plan to do just that. The part of the finance industry that I find most fascinating is the transformation that is occurring. Consumers have many choices and I think we have a unique opportunity to deliver value and a great client experience in convenient ways. I enjoy the people I work with and my job allows me to interact with more internal and external individuals. In addition, we have a very unique culture which I would describe as a tribe. Everyone has each other’s back and is looking to win together. Which innovations at JPMorgan Chase are you most excited about? I am most excited about the products and tools that are designed to help our clients with their financial health. Our new digital banking platform, Finn, is a great example. There are some wonderful features in Finn that allow a customer to set saving goals, set up auto transfers from checking to savings and see their spending trends. What are the benefits of an inclusive corporate culture and how is this reflected at JPMorgan Chase? There is research that shows that companies with inclusive cultures are more productive and spur more innovation. It starts from the top. Our CEO has built a culture that focuses on authenticity and ensuring that everyone feels confident about bringing their whole self to work. What is some of the best advice that helped you get to where you are today? Before you start thinking about the next job, focus on doing an exceptional job in the one you have. Too many times people are worried about the next job before they have mastered the one they have. What are your most important work and professional values? Integrity, doing the right thing, Humility. How do you strive to impact your colleagues, customers, and suppliers at JPMorgan Chase? I come to work every day with the intention to give my best and exceed expectations. I do this by ensuring that everyone is treated with the utmost respect and that if I am unable to help them, I get them to the right place. How do you tackle obstacles and what is the most valuable lesson you have learned since joining JPMorgan Chase? The most valuable lesson that I have learned at the firm is to admit when things are not 100% and it is okay to say that you don’t have all the answers. They key is to communicate concerns and get the right people in the room to solve them. Then you must act swiftly and put things into action. You volunteer with several organizations that give back to the community – why is this commitment important? Giving back to the community is very important to me. Over my lifetime several people have invested in me and without their support, it would have been more challenging for me to drive my career where it has gone. I know that my parents made several sacrifices for me and always told me that it was important to help others in need even when you don’t have that much to give. They were always willing to offer their help no matter what their circumstance was at the moment. Giving back is very rewarding for me and helps drive my purpose. What steps do we need to take to continue to bring other women forward in financial services? We need to continue to be visible and participate in the forums that allow us to tell our story. Women need another role models telling their story and offering words of encouragement. What is the single most valuable piece of advice you share with mentees? Be yourself and program your mind to not set limits. The outside world will try to program you into thinking you can’t do something mostly driven by biases. I ask young women to drown those voices out and listen to their heart and do what they are passionate about. leaders with an open door policy, being honest & direct, respectful and serving others. That is the philosophy I follow. Alice currently holds the 24th spot in the list of The Most Powerful Latinas in Business 2018.